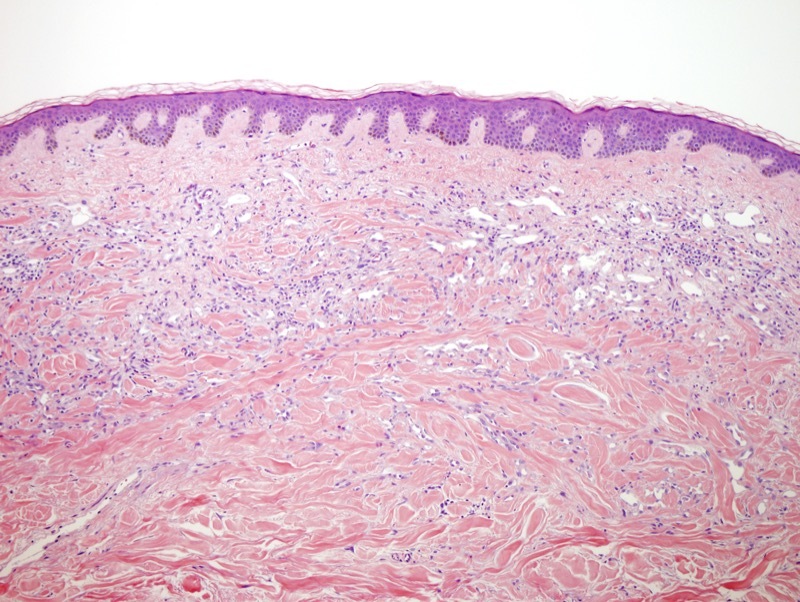 Post-radiation atypical vascular lesion arising in a background of chronic radiation fibrosing dermatitis. 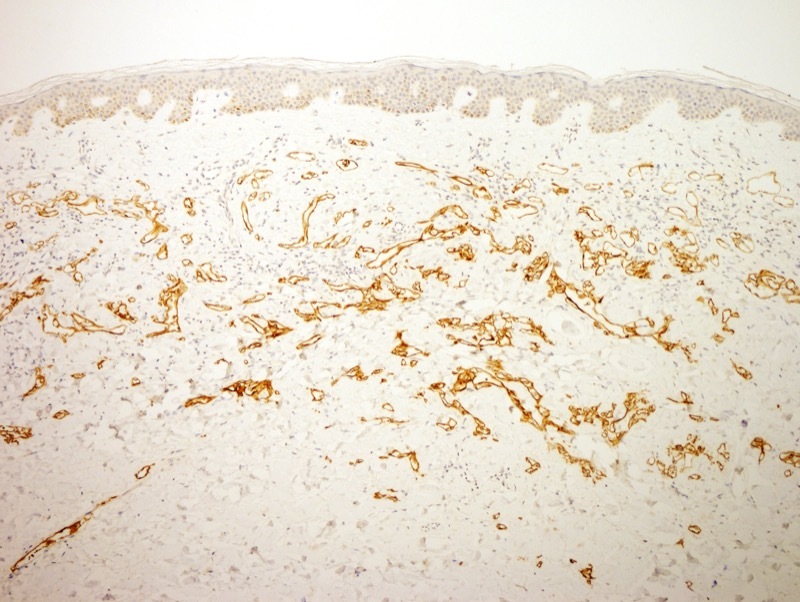 Overall case comment: The findings are highly characteristic for a post-radiation indeterminate vascular proliferation falling under the designation of atypical vascular lesion. The question arises regarding the exact biological significance of these lesions. 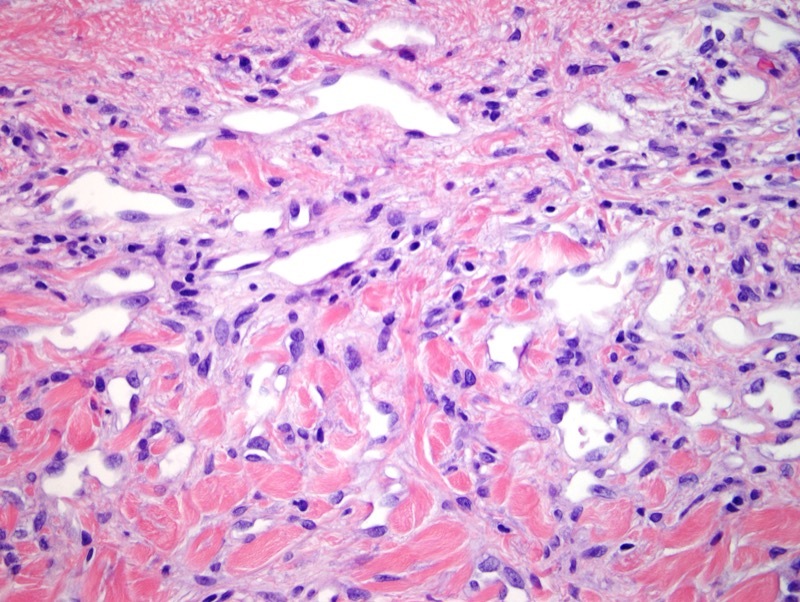 The atypical vascular lesion does occur post-radiation therapy for breast carcinoma with a post-radiation that typically averages a few years (i.e. approximately 4 years). 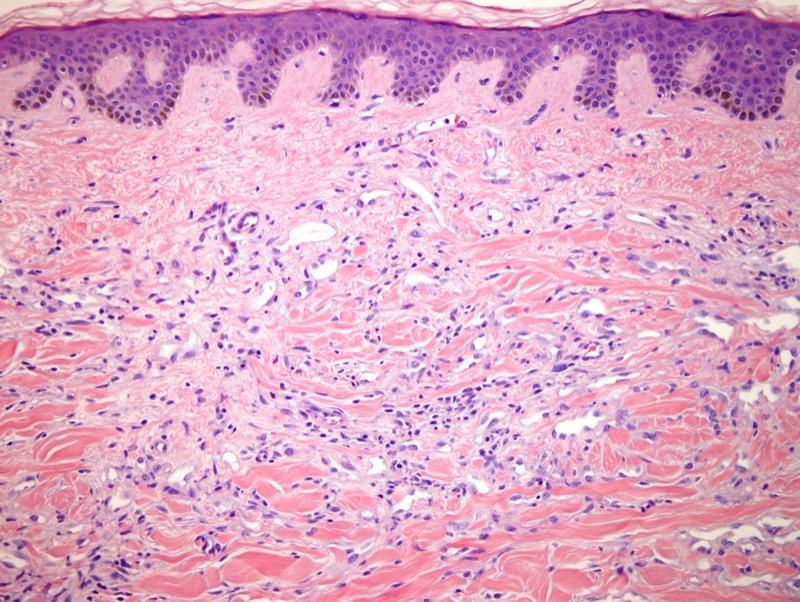 The lesions for the most part do behave in a benign fashion, although local recurrences can occur.